An NBC offering. Aired on Sundays from 7:00PM to 7:30PM, starring Lional Barrymore and Agnes Moorehead. The creator and writer was Jean Holloway, the announcer Harlow Wilcox, music by Gordon Jenkins and sponsored by Rinso detergent. The show was a perfect vehicle for Lionel Barrymore: rich with warmhearted humor, and good-natured grumbling, its "mayor" had a fierce bark but a mushy heart when confronted with the plight of an orphan or a stray dog. The mayor cared little about political advantage: he even found time, once a year, to turn the town of Springdale into a special theater, to give his traditional performance as Ebenezer Scrooge in Charles Dickens's A Christmas Carol. THE CAST: Lionel Barrymore as the mayor of the town of Springdale. Agnes Moorehead as Marilly, his housekeeper. THIS EPISODE: October 7, 1942. CBS network. Sponsored by: Rinso. "War Orphan ". The first show of the series on CBS. 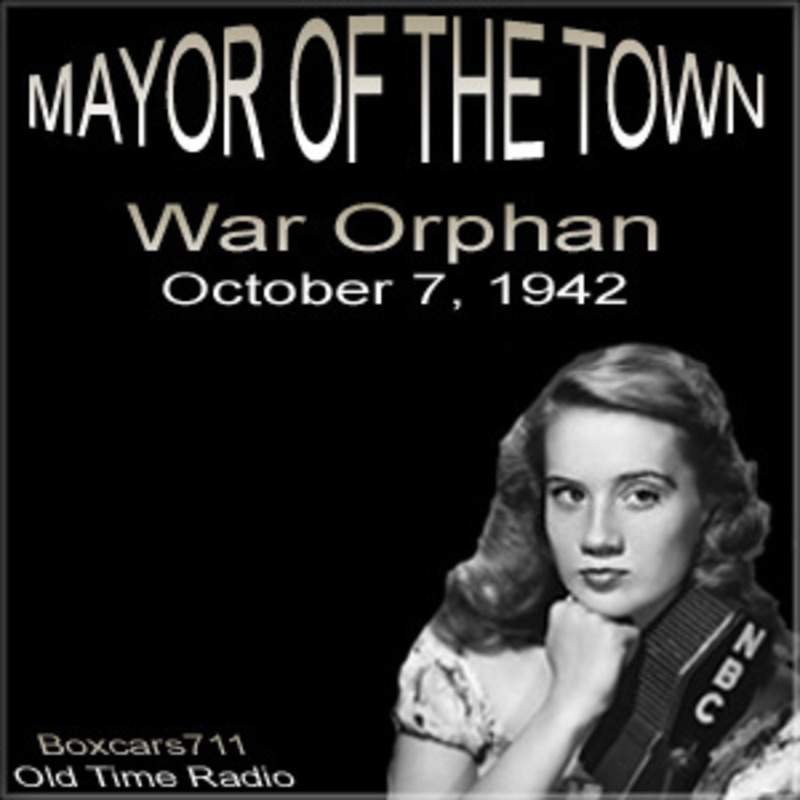 The mayor is asked to take care of an eleven-year-old war orphan. A heartwarming, tearful script. The system cue has been deleted. Lionel Barrymore, Harlow Wilcox (announcer), Bob Bailey, Jerry Hausner, Billy Roy, Agnes Moorehead, Jean Holloway (writer). 29:28. Episode Notes From The Radio Gold Index. 3714 episodes available. A new episode about every 5 hours averaging 29 mins duration .